You need a experienced, aggressive personal injury lawyer on your side! Millions of people are injured on the road each year. An accident can devastate someone’s life and change it in a instant. It is vital that you seek the counsel of a qualified attorney as soon as possible to preserve your legal rights and ensure you get the monetary damages and medical care you deserve. James offers a free initial consultation, and most car accident cases are handled of a contingency fee basis. If we don’t obtain a settlement or money judgment for you, we don’t receive a fee. Motorcycle riders are particularly vulnerable on the road, primarily because most drivers don’t see motorcycles, or they just don’t pay attention. With the riders being almost completely unprotected, motorcycle accidents are usually more catastrophic than other auto accidents. 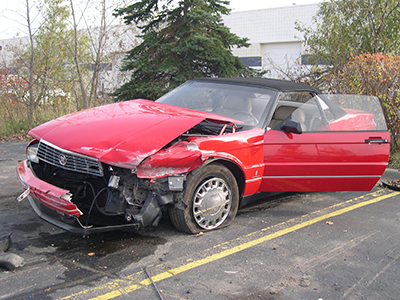 The law imposes a time limit under which a personal injury claim must be filed. If you wait to long to contact a lawyer after a motorcycle accident, you may lose much needed monetary compensation. James provides a free consultation, and most cases are handled on a contingency basis. If you don’t win, you don’t pay!